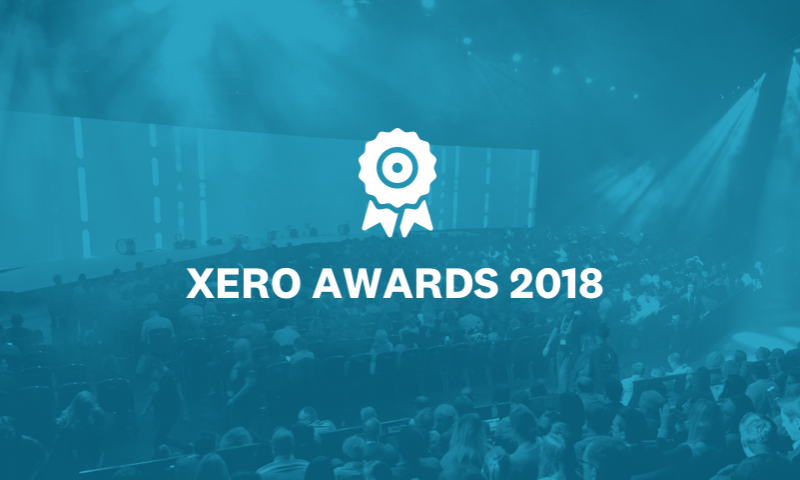 With less than six weeks to go until Xerocon Brisbane, the buildup to the Xero 2018 Awards is growing. We’ve narrowed down the many nominations to 16 Australian finalists, and we wanted to take a moment to congratulate each of them and share some of their experiences with Xero. It can be hard to lure qualified staff to the west side of the Great Dividing Range, so Carrick Aland relies on technology to fill the gap, with Xero and its ecosystem of integrated apps providing a one-stop shop. Carrick Aland says it has become Figured‘s largest Australian subscriber, with more than 200 users of the financial management app for farmers (a 20% increase on the previous year). “A huge part of our difference is customisable tools that automate tasks, so clients worry less about debits, credits or payroll. Having more effective systems gives commercial and farming business clients more time to work on business improvement,” says Bartkowski. About 1,500 kilometres south, in Melbourne, RBK Advisory has seen its advisory business surge since a few accountant friends launched the firm three years ago. “We had all worked at firms using only one or two parts of Xero’s offering, so we decided to jump right in and use the entire suite of practice tools from day one,” says director Jason Robinson. “We haven’t looked back, growing from 300 clients to well over 2,000 in the last year. RBK does all work-in-progress and billing through Xero Practice Manager, and its entire job system is run off custom-built reports that allow full visibility of the workflow. Xero’s integrations with RBK’s practice tools allow the firm to focus more on advisory and get less bogged down in compliance work. On the other side of the country, in the suburbs of Perth, Xero has given Total Accounts total freedom. The bookkeeping firm of seven employees is a 100 percent remote office, with each employee working from home, underscoring the ability of Xero users to work almost anywhere. Clients seem to value the ease of use as well. “Our small businesses appreciate how easy Xero Tax makes reviewing and signing documentation, as well as accessing their own records,” says accountant and principal Sally Brindle. Total Accounts has also made effective use of Xero HQ’s functions. “Through Explorer, my team members are becoming specialists in certain fields,” says Brindle. “They can now be allocated clients according to industry and recommend suitable add-on apps. This provides a superior customer experience and helps provide clients greater efficiency and knowledge.” Total Accounts is currently using Xero Ask with its clients and loves how it enables them to keep all client communication and queries in one place. 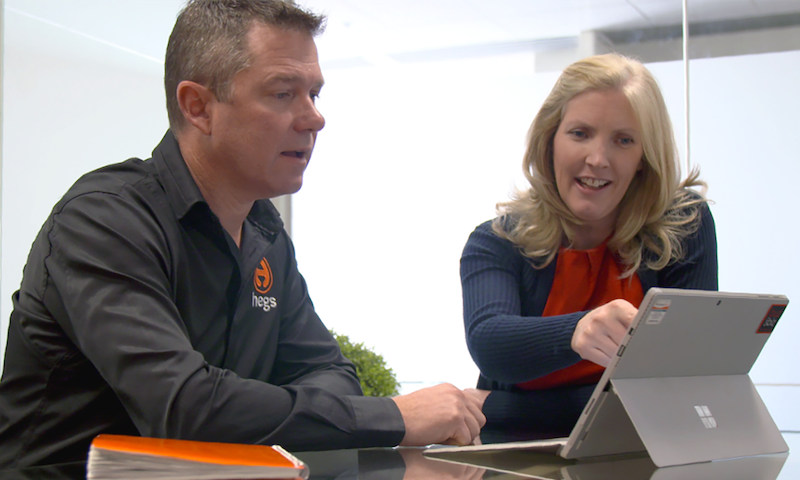 At RSM Australia, the firm is highlighting the benefits of cloud-based business platforms. We hope you’ll join us at Xerocon on 4-5 September, when the winners will be announced — tickets are still available, but not for long. Best of luck to the Xero 2018 finalists! The post Hats off to Australian awards finalists ahead of Xerocon Brisbane appeared first on Xero Blog. 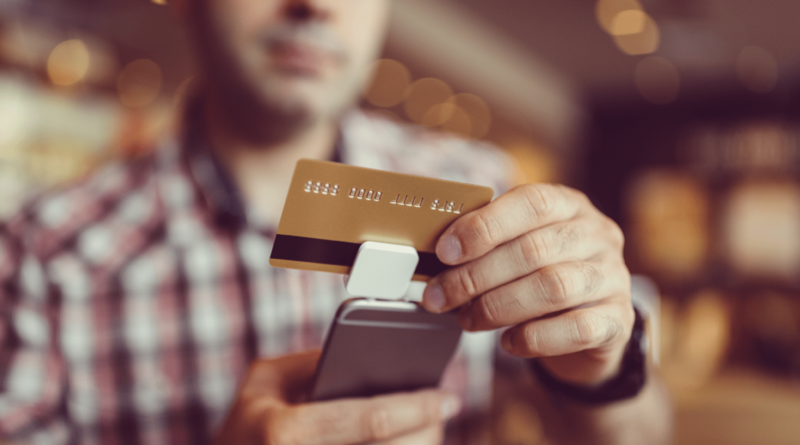 When business is booming, not having cash flow can be a major obstacle for businesses, hindering opportunities and limiting their ability to grow. Securing a new deal or major order can take weeks, months or even years, and business owners may find that traditional finance providers don’t understand or work quickly enough to provide funding for new opportunities as they arise. That’s where Timelio can help. Timelio aims to help take that pressure off. It’s a peer-to-peer marketplace for invoice finance that connects growing businesses directly with investors. It gives fast access to the cash locked up in invoices, using technology to make it fast, easy and affordable for businesses to turn invoices into cash. Timelio makes it simple to unlock funds in less than 24 hours by selling invoices online. Charlotte Petris, Timelio’s founder, says she noticed how tough it was for SMEs trying to grow a business without access to adequate finance, and how the industry hadn’t kept pace with changes in technology. “We created Timelio to bring together SMEs directly with investors. It’s a win-win for both sides: business owners get working capital to grow their business and investors have direct access to new investment opportunities.” This gets business owners the funding they need when they need it. An important aspect is Timelio’s integration with Xero. It saves busy business owners time by providing the relevant financial information instantly, allowing them to complete the online application within minutes. Whenever cash flow is required, invoices can be uploaded to the Timelio marketplace directly from Xero, releasing the funding as quickly as possible. Scott Boocock’s lightbulb moment came while trying to hang his wife’s cocktail dress. Surely, he thought, there had to be a way of hanging out clothes without them getting peg marks and creases. With the business idea of putting a simple hook on the peg, Hegs Pegs was born. But after building the courage to start the business and landing a major deal with 55 local supermarkets, he realised he didn’t have the cash flow to fill all the orders in time. Struggling to fund the amazing growth the business was experiencing, his accountant told him about Timelio, who offered him the perfect solution. Check out the full story of how Timelio has helped Hegs fund their invoices in the video below. The post How Timelio backed Hegs with fast invoice finance appeared first on Xero Blog. When you work in the technology industry in support of small business, there’s one thing you can never do: assume you know the answers. To create a positive impact, you have to constantly challenge your own theories, build new feedback loops, and be prepared to adjust to change. It’s not always easy, but it’s important. When we can foster innovation on behalf of small businesses and their advisors, we get to help break down the most constraining barriers standing in their way – whether they’re social, geographical, technological, financial, or something else entirely. That, to me, is what it means to be truly innovative. Which is why I’m so proud that Xero was awarded best service innovation for Xero Learn and named as number three on the list of the most innovative companies at the 2018 Financial Review Most Innovative Companies Awards Night in Sydney last night. The AFR Most Innovative Companies list, now in its sixth year, ranks the 100 most innovative organisations in Australia and New Zealand, and is the only national, cross-industry list of its kind. It considers the way that companies nurture innovation, arrive at decisions, and create impact for their customers. The judging panel considered the development process that led to our educational platform, Xero Learn, as a fitting example of such an initiative. Built to support the next generation of bookkeepers and accountants, it provides a hands-on learning experience in further education environments. As a result, it helps the community of Xero advisors find top-quality job-ready candidates who are primed to support small business. No company can innovate in isolation, and Xero would be a very different platform if that’s how we made our decisions. It’s the fears, frustrations, ideas and experiences of our customers and partners that drive our roadmap – and we can’t wait to share the shape of things to come at our upcoming Xerocon conference in Brisbane. Until then, I want to thank you again for your feedback, your questions, your curiosity and your passion. You help us to foster a more innovative future on behalf of small business. 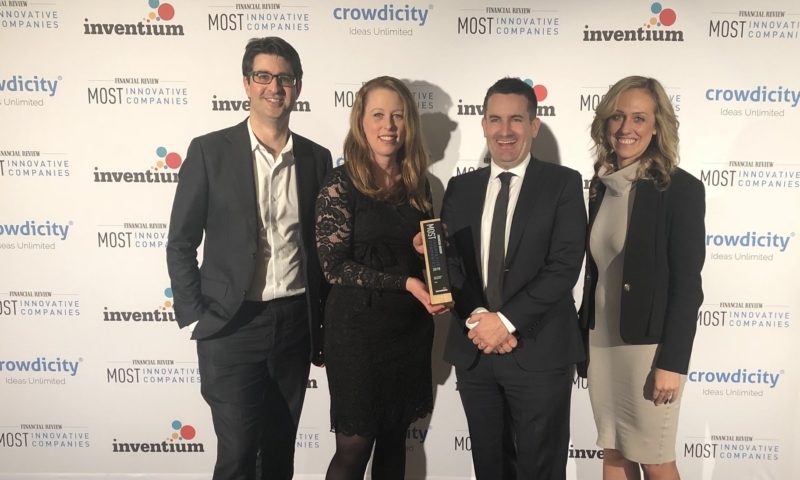 The post Xero wins best service innovation and ranks third on the 2018 AFR Most Innovative Companies list appeared first on Xero Blog. Check out the latest updates for small businesses and partners, plus a peek at what’s coming out soon. 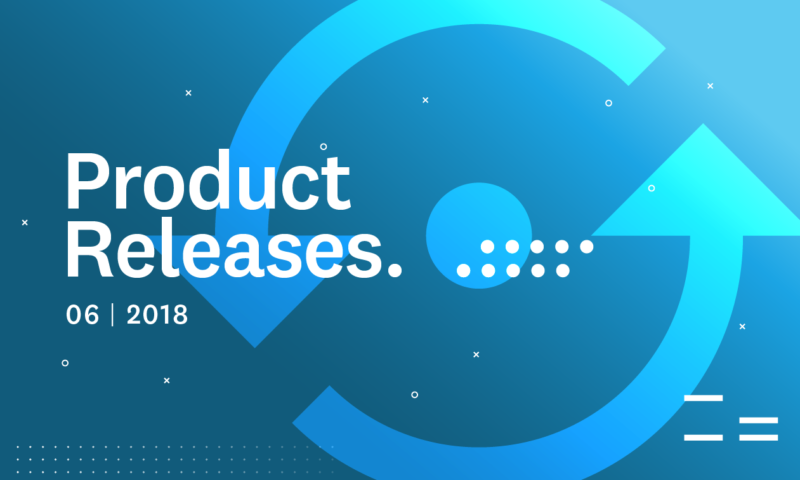 Don’t forget, Xero changes and release updates can be found in Xero Central, or check out the release timeline for some of the more significant releases. Available globally within all Xero organisations this new report brings all the functionality of the newer Xero reporting framework along with a number of great additions such as comparative periods, filtering by tracking categories and a cash basis view. Learn more on the blog. With this recent update in line with a GDPR requirement, it is now easy for employers to provide any personal data they hold in Xero on an employee, when a current or previous employee requests this information. Now business owners, admins and their advisors can have more flexibility, and control over the expense claims process by setting the level of access and actions staff can perform, to keep sensitive information and boost efficiency. Chose who can view, submit, approve or pay expense claims, with the ability to submit on behalf of someone else. See Xero Central for details. 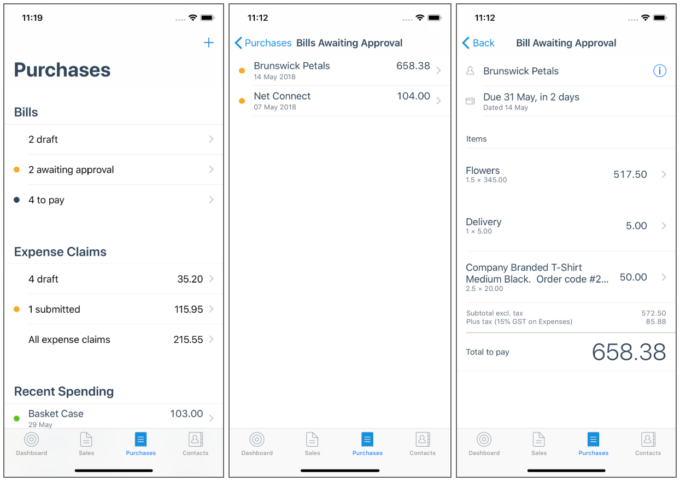 Now small businesses can assign billable expenses to customers and projects, on web, iOS and Android to easily see what expenses can be recovered and get a better picture of cash flow. Learn more. With this mobile release, you’re able to manage even more of your spendings on your mobile. This latest functionality allows you to view any bills that are awaiting approval, view the detail of multi-line bills, and mark a bill as paid. The final step in your quotes workflow is now complete on mobile. You’re now able to convert an accepted quote into an invoice; allowing you to create the invoice easily from the quote and get payments underway quicker. With this release, you can now search for a contact by email or the primary contact name as well as the contact name or account number. This way it’s much easier to find a contact when you want to add one to an invoice or quote. Partners, and small businesses can experience and demonstrate how the Xero Projects web and mobile apps work quickly and easily with dummy projects in the Projects Demo Company. Data includes project, tasks, time and linked expenses. Just head to the Demo Company on web, or the “Try Projects for free” option on the iOS and Android apps (note: if you’re already a Xero Projects app user, you’ll need to logout first). Now small business owners and managers using Xero Projects can see exactly how their team’s time is being spent on each project and what proportion is chargeable with the Xero Projects Detailed Time Report. See all the details you need including when the time or cost was recorded; whether it is chargeable or chargable; and much more all using the new Xero report formats for ultimate flexibility. Learn more. 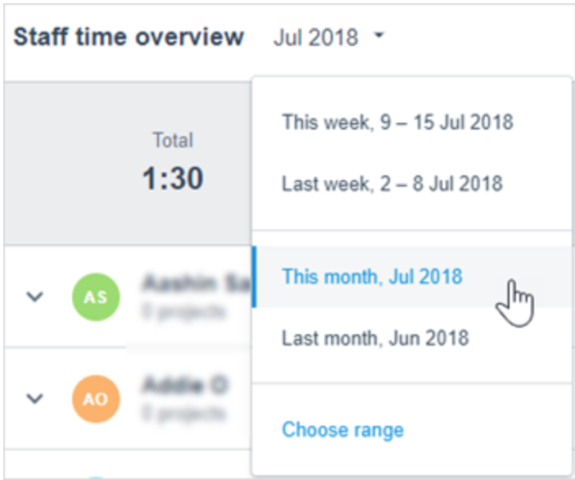 Business owners and managers who have staff tracking their time on projects in Xero can a get view of staff time across all projects/clients or for a certain time period with the Staff Performance Explorer in Xero Projects. Learn more. Service based businesses will appreciate this one! Soon, small businesses can send file attachments with their invoices on mobile. For many it is a must to include supporting documentation with invoices such as before and after photos or receipts for materials. With this upcoming release, you’ll be able to do just that. In line with a GDPR requirement, we are soon enforcing password protected payslips when sending it through email. The post Xero Global Release Update June 2018 appeared first on Xero Blog. At Xero, our customers come from different walks of life all around the world. So, it is important that our programs, platform and people are reflective of the unique communities that we support. In the US, Latino entrepreneurs alone have started businesses at a pace 15 times the national average over the past decade. This fast-growing sector, instrumental to the success of the US economy, faces unique challenges and will require dedicated support in order to continue to thrive. Last year, we announced our partnership with the Latino Tax Professionals Association (LTPA). This year, we’re thrilled to be returning to LTPA’s annual conference, Latino Tax Fest, as lead sponsor. Together, we’re arming tax professionals with the training and resources needed to effectively serve the Latino market. More than 30 years ago, recognizing that there was a lack of Spanish-speaking tax preparation specialists, Carlos C. Lopez founded the LTPA. As CEO, he leads an organization that provides training and education for tax preparers looking to serve the Latino market. He says it is human nature for people to feel more comfortable around others with shared life experiences. He equates what small business owners look for in their advisor with the deeply personal relationship between a doctor and their patient. The more Spanish-speaking tax professionals out there, the better. Mark Madrid, CEO of the Latino Business Action Network, agrees. At Xero, we’re committed to continuing to support the Latino accounting and small business community. Growing up, I helped my father, an immigrant, run the family business. Often I look back and think about how differently things might have gone if he had an accountant, a trusted advisor, there to help him with all the decisions along the way. Today, I’m proud to lead Xero’s strategy for the Latino market. We’ve got a lot of exciting things in the works for the market, including Xero certification in Spanish. We recently appointed a new ambassador, Nury Saenz, who will be focused on supporting Latino Xero partners. Come along and meet Nury at Latino Tax Fest, where she will be presenting on how to become a Schedule C champion in both English and Spanish. At Xero, we know that by connecting small business owners with the right advice and the right platforms, we can exponentially increase their odds of success. Looking ahead, we’ll be partnering with the Latino small business community to make this happen. Heading to Latino Tax Fest and want to learn more about upleveling your tax practice for the Latino market? Visit us at our booth in the exhibit hall. 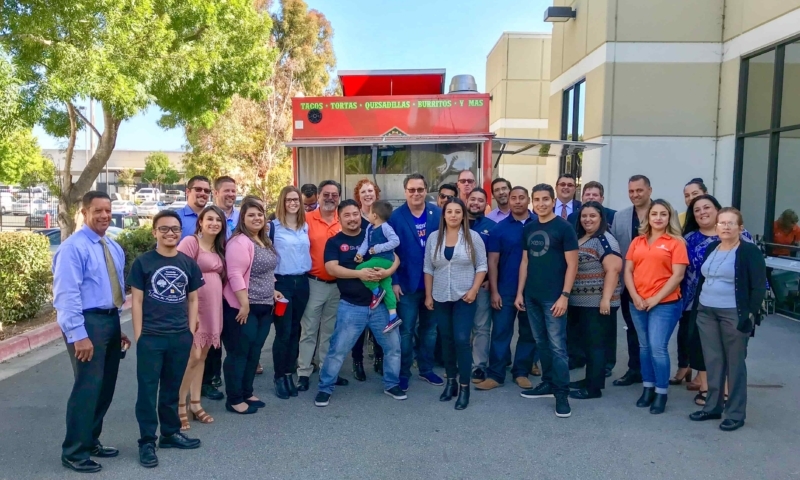 The post Xero + Latino Tax Pro: Supporting the Latino accounting and small business community appeared first on Xero Blog. Inventory management is an aspect of supply chain management that relates to the management of stock and inventory. Controlling and storing stock to ensure that businesses have the right amount of inventory, at the appropriate location, and at the right time are key features of inventory management. Just as the features in inventory tracking software vary, so does the price. The good news is that inventory software ranges from free to thousands of dollars per month. 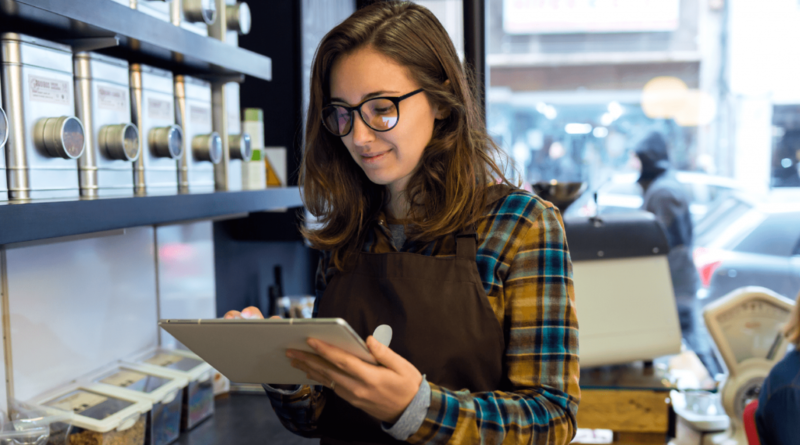 Whether you operate a small business, like a local coffee shop or a multi-site retail store, there will be inventory tracking software available to meet your needs. Better financial decisions – Accurately monitoring your products using free inventory software allows you to work out important financial indicators, for example, your contribution margin ratio. This puts you in a position to make better decisions based on data about your products, cash flow, profits, sales and outstanding balances. Maximize stock levels – Real-time inventory management helps to manage the number of products in your store. Features, like automated ordering, guarantees that products will be available when your customers want them. Reduce admin – Some free inventory trackers can calculate taxes and other administrative tasks. This allows business owners to focus on tasks that will grow their business, for instance, marketing. Reduce labor costs – You will require fewer employees to carry out physical inventory counts when using inventory tracking software. This provides the opportunity to utilize your staff in areas that will directly affect your customers, such as providing a great in-store experience. Given the extensive benefits of inventory management software, you might expect the best solutions to be costly. However, there are a variety of free inventory management software and apps with the required features to provide timely and accurate management of your products. Some free software and apps are open source inventory management. This means that the original source code is freely available and people are free to modify or redistribute this source code. Here’s a list of the best inventory management software to consider for the retail, restaurant, and hospitality industries. Ordoro inventory management program is ideal for retail businesses that ship and dropship products. Ordoro allows businesses to compare the rates of different shippers in order to be more competitive. This e-commerce and inventory management software is also able to negotiate FedEx and UPS rates so that businesses get the best deals on shipping costs. There’s also the functionality to easily batch-print labels and track orders through the advanced analytics. Ordoro can be used by businesses of any size and is especially suitable for businesses with numerous suppliers. Ordoro has both a free and a paid plan. The free plan can be accessed by a single user, with less than 50 orders per month. You will have to pay for unlimited users and advanced features, such as multi-warehouse inventory tracking. This free inventory program is created by Losoftware and provides retailers that operate online and in physical stores with the functionality to control their stock and inventory. RightControl is also a sales management system and is suitable for freelancers, small businesses, and enterprises. It also has free warehouse management software for the automatic creation of packing lists. This enables retailers to easily manage their packing and shipping costs. RightControl’s modern interface makes it an easy to use inventory software. Because it’s hosted in the cloud, it can also be accessed on any device, at any time. Both a free and paid plan are available on RightControl. The free package includes features such as stock level monitoring, barcode scanning and invoicing. Delivrd is a free cloud-based inventory management and order fulfillment software. It provides solutions for eCommerce retailers and people who sell via eBay and Amazon. As well as inventory management, Delivrd also provides additional features, such as barcode printing and scanning, pick, pack and ship, and third-party integration. Delivrd price plans range from free to $99 per month. The free plan is for a single user and includes low stock level alerts, inventory transactions history, and email support. ChefSheet is a free inventory app that provides services to bars, restaurants, food trucks, and restaurants. The app allows restaurateurs to count their stock using their mobile device. After the stock has been recorded, ChefSheet will manage and report on different elements of the inventory, for example, price changes. The app provides free and unlimited inventory management to restaurants with one or multiple locations. The free plan includes internal price tracking, inventory reporting, and the mobile inventory counting app. The paid plans range from $44.99 to $59.99 per month. Odoo is an open source point of sale (POS) system with integrated inventory management software. Odoo allows restaurateurs to customize and view their floor plans to see how many tables are available. Odoo automatically records transactions from the POS system to update the restaurant’s inventory records. This free inventory app also has warehouse management capabilities. Odoo has an easy inventory software function with a light learning curve. Because Odoo is open source software, it’s fully customizable to suit your business needs. This inventory tracker supports different devices, like Mac, Android, and iOS. Vend is a POS system that can be used by retailers, restaurants and other small businesses. This system offers customer loyalty programs, software for different operating systems and inventory management. The inventory management software offers features, such as bulk exports, a centralized product catalog, and warehouse management. Vend’s entry-level free pricing plan is suitable for small businesses and pop-up stores. Payment for bigger businesses starts at $99 per month, with Vend offering customized prices for large restaurant and retail franchises. HotelDruid is an open source cloud-based hotel management software, which also includes inventory tracking capabilities. This software allows hoteliers to customize different elements, like the length of stay and number of rooms. The inventory management feature is connected to a POS system for restaurants and bars at the hotel. HotelDruid allows hoteliers to record their stock from different rooms in order to track items. It also provides the functionality to monitor products in a room’s minibar. HotelDruid is open source software, so it’s free for businesses to use. Goods Order Inventory is a cloud-based inventory management system that serves different industries including hospitality and facilities. Their inventory management for hotels provides hotels with the capabilities to determine how many rooms have been allocated to guests and how much food has been consumed by guests. Additionally, Goods Order Inventory provides multiple warehouse tracking and low stock reports. This inventory management software is available free for a 14-day trial. After the trial period is over, the hotelier will discuss their needs with Goods Order Inventory to receive a bespoke price for their inventory management solution. It’s not only physical retail and large e-commerce stores that benefit from inventory management software. Individual sellers on online marketplaces, like Amazon and eBay, can also operate a more efficient business by utilizing the features of inventory management apps or software. Free eBay inventory management software allows sellers to organize their stock with ease. With inventory management apps, sellers have confidence that they have an ordered item in stock. They can find the product in the database and pack and ship the item using specialist barcodes and scanners. Free inventory trackers for eBay stores can include the basic functions and also more advanced features. Quality management – Sellers can track issues in relation to different items and take corrective action. Cost management – The free eBay inventory software will reduce the likelihood of being overstocked or understocked, which could have a negative effect on profits. Customer support – Customers will be kept satisfied because they will receive the items they ordered within the specified time-frame. Purchase order management – Receive alerts to restock items from the vendor of your choice. Serialized inventory – Track products coming into your warehouse from other warehouses or from vendors. Multi-warehouse management – For sellers who operate from more than one location, some inventory management systems will enable the goods to be shipped from the location that’s nearest to the customer. Integrations – To enable sellers to operate a seamless eBay business, some inventory management systems integrate with accounting software for easier financial reporting. This software provides listing features, shipping and inventory management for eBay sellers. 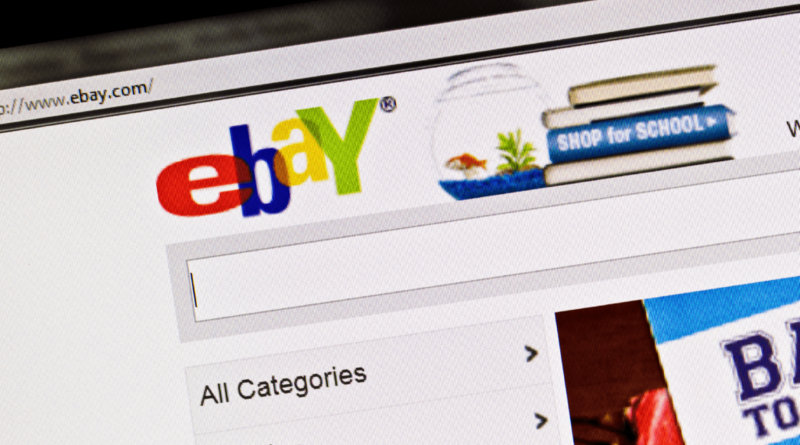 If sellers are using more than one e-commerce platform, they can create bulk listings. Linnworks will update their products across every channel, for example, if a seller is using Amazon and eBay, the number of products will be updated on both Amazon and on eBay. Linnworks offers free and paid plans. The free plan is available to single users across three channels with a limit of 50 SKUs. The paid plan starts at $270 per month and offers features, such as unlimited channels and unlimited orders. Zoho eBay inventory management software is used by sellers and resellers, business owners and e-commerce businesses. Zoho inventory syncs with eBay every four hours to keep sellers updated about their sales. However, sellers can change the default four hours to an interval of their choice. Zoho Inventory for eBay ranges from free to $249 per month. The free version of this online software allows for one warehouse management and 20 online orders, offline orders, shipping labels, and tracking. The paid plans include multiple warehouse inventory management, more orders, shipping labels, and tracking. Appath is a cloud-based online inventory management software that enables sellers to monitor their products across different channels, like eBay and Amazon. The features include bundling common items, multi-warehousing drop-shipping automation. The free inventory management software above will help you to track and monitor your products. Deputy’s features allow you to manage another critical aspect of your business – your employees. If you’re looking for an easy way to manage your employees, consider using Deputy to schedule your hourly staff. Additionally, Deputy also integrates with multiple systems, including POS and inventory management systems. Sign up below for a free trial to find out how Deputy can fulfill your staff scheduling needs. The post Best Free Inventory Management Software to Consider for Your Business appeared first on Deputy. If you’re considering opening a restaurant, one of the first things you need to know is how to create a restaurant business plan. If starting a restaurant has always been a dream, learning how to write a business plan will help you to succeed in the restaurant industry. It’s reported that 60% of new restaurants fail within the first year of business. Additionally, running a restaurant can be stressful with long hours and low pay. Approaching your restaurant as a business even before you open is one way to guard against becoming a premature closure statistic. 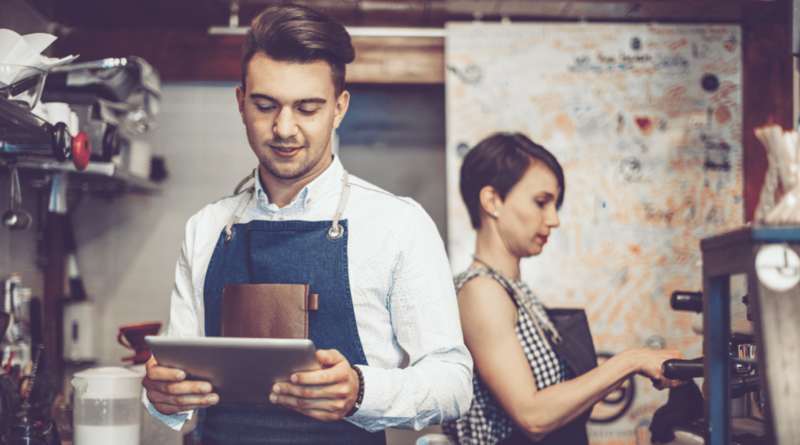 Creating a business plan for your restaurant helps you to understand everything that’s involved in running an eatery, including tax laws and compliance issues. Therefore, you’ll be better prepared to meet the inevitable challenges. When going through the process of writing a business plan for your restaurant, you’ll learn about different aspects of operating a business including how you fit in your local market and your competitors. If you want to secure funding when starting your restaurant, you’ll have to provide your business plan to potential investors. Your business plan needs to look professional and demonstrate that you’ve considered all the necessary factors to start and operate a successful restaurant. Where you’re approaching a bank, you have to provide financial projections by demonstrating that you know accounting basics, such as the difference between revenue and profit. The bank will also need assurances that your restaurant will be profitable and you’ll be able to repay the loan. 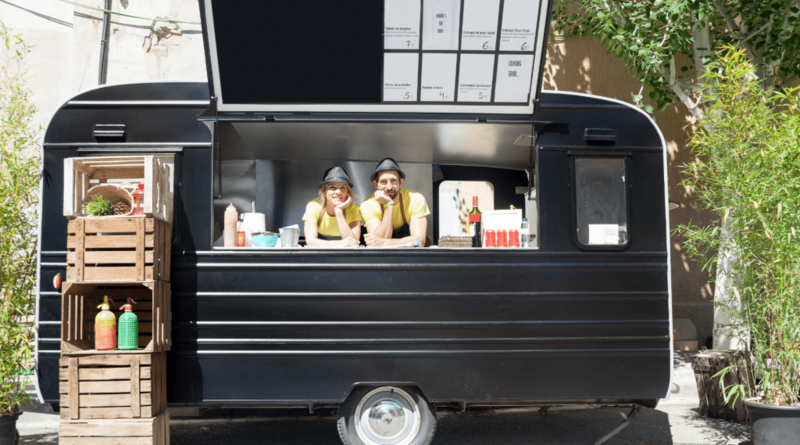 Irrespective of the type of restaurant you’re thinking of starting, whether it’s fine dining, a coffee shop, or even food truck, learning how to write a business plan will prepare you for the challenges ahead. Fast food or quick serve – Restaurants like Wendy’s and Burger King are part of this category. This type of restaurant attracts customers who want cheap prices, speed, and convenience. Fine dining – Customer service is a priority in this type of restaurant. Your staff will need to be trained to answer all questions relating to the menu and must be able to make suggestions in relation to food and wine. Casual dining – A relaxed atmosphere with reasonably priced food characterizes a casual dining restaurant. This type of restaurant also includes a bar which stocks different types of liquors and beers. 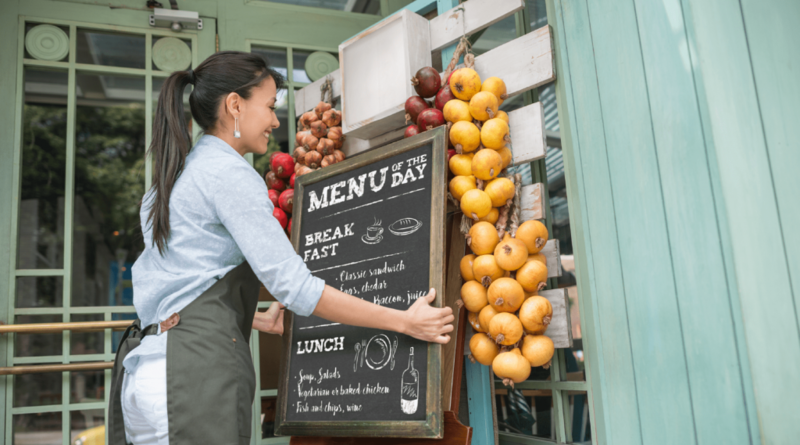 When writing a business plan for your restaurant, you should incorporate some generic information that’s included in most general business plans. However, you need to include some elements that are specific to the restaurant industry. Before you start writing your business plan, it would be useful to read as many restaurant business plan samples as possible. Reviewing business plan samples for the restaurant industry provides you with ideas in relation to concepts, layouts, and writing styles. The following includes the aspects that are required when creating your restaurant’s business plan. It’s important to make a great first impression when sending or handing out your business plan. Your cover page should include your name, the date and your logo (use a draft if you’re still working on the final image). This section will introduce the reader to your business and provide a brief summary about your restaurant. Your executive summary should include details like the name and location of your proposed restaurant. You should also provide details of your suitability to start and operate a restaurant. Mention the experience and qualifications that position you as the ideal person to run your restaurant. Your mission statement should tell the reader about the purpose of your restaurant. You should include details about the type of atmosphere your restaurant will have and also the experience you want guests to benefit from. Use your business concept to bring your restaurant to life. Take this opportunity to provide details that will excite the reader about your proposal. Write about what inspired you to adopt this concept and the type of menu items you’ll serve. Provide information about your restaurant’s decor and atmosphere. You need to create a visual concept of your restaurant by providing information such as the floor plan and the furniture that will be used to set the tone. Use a mood board, which is essentially a collage of images, colors, and patterns to show how you want your restaurant to look. Emphasize what makes your restaurant unique and why your customers would choose you over your competition. Your menu items and the pricing are important aspects of your restaurant’s business plan. Due to the importance of this restaurant business plan item, you should consider designing a mock-up of your menu. Include your logo to give the reader a feel of what customers are likely to see when they look at your menu. You can use graphic design software, such as Canva or PicMonkey, to create a sample menu yourself. Alternatively, you could hire a designer to help with this task. The prices on your menu must be as a result of your analysis of costs and revising financial metrics such as the projected contribution margin ratio for each item. Formulating your menu based on research will demonstrate that you have an objective basis for setting your prices. Providing the best customer service is vital for any business but it’s of particular importance for fine dining restaurants. If your proposed restaurant is a fine dining establishment, you should pay particular attention to this section when writing your business plan. Explain how your guests will be served from the time they enter your restaurant until they leave. Write about the role of technology like restaurant management software plays in enhancing customer service. Provide specific examples of tools that will enable your employees to serve your customers better. Deputy is an example of a tool that schedules your restaurant’s employees and alerts them to the tasks they need to complete during their shifts. Schedule a call with one of Deputy’s rep and find out how employee management software can help your employees in your new restaurant to know where they need to be and what they need to be doing to ensure that all aspects of your restaurant are fully covered at all times. Use this section to expand on the information in the executive summary about why you’re qualified to start and operate your business. Go into detail about your work experience, business background, and transferable skills you’ve acquired. The information provided should be similar to what is contained in a resume. Additionally, include information about what you enjoy doing outside of work to provide your potential investors with a rounded view of you as an individual. You’ll also need to provide details of the management team you will recruit to help you to run your restaurant. A kitchen manager or a general dining room manager is normally one of the first roles to be filled in a new restaurant. Each team member’s role must be described along with the reasons for their inclusion as part of the team. This section should also contain how you’ll staff your restaurant. Explain whether you’ll use hourly employees and, if so, how many hours will they work? Also, if your restaurant will have a bar, will you hire barbacks as well as bartenders? The location you choose will be based on your budget and your target market. There’s a lot to consider when looking for a space for lease. 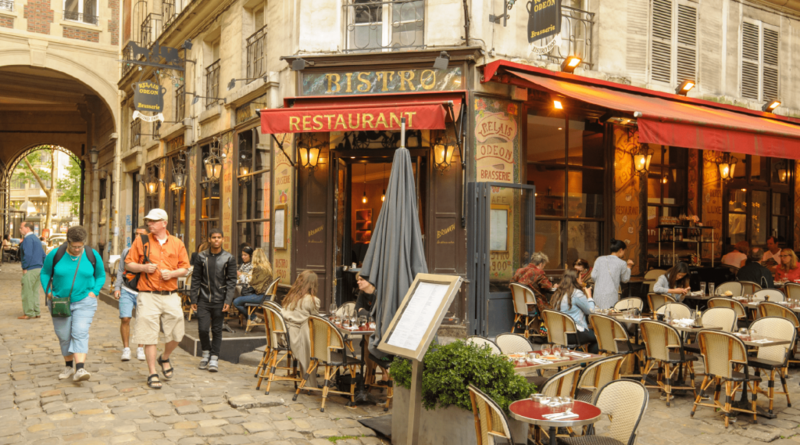 As you’re in the planning stage, you may not have identified the exact property for your restaurant. Include the areas that you’re considering in your business plan. Explain why you believe the areas are suitable. Include information that the reader will find useful, for example, demographics and accessibility. You can also provide more specific information about the property you need for your restaurant in terms of size and the number of rooms. This section of your business plan will deal with the restaurant industry’s performance in your region. You need to demonstrate that you’ve researched whether restaurants are experiencing growth or experiencing a slump. You should be ready to explain your reasons for starting a restaurant in both markets. If the restaurant business is slow, you should detail how your restaurant will go against this trend. On the other hand, if the restaurant industry is booming, your business plan should contain the methods you’ll use to get diners to choose you. Your market analysis also needs to include information about your target market. The reader needs to get a clear idea of who your restaurant will be serving and why they’ll want to eat at your restaurant. Include details about your target market’s age range, job, and average income. Your customer base needs to match up to your location and the price point of your menu items. The marketing analysis section of your business plan must contain information about your competitors. You need to have a plan to show how you’ll entice customers away from your competition. The findings of your competitor research should help to determine your prices, menu, and opening hours. Your branding is the most prominent aspect that will set you apart from your competitors. This is especially the case if you’re starting a restaurant that serves similar food to other restaurants in your area. Including your brand statement in your business plan tells the reader about your key messages, vision and how you’re different from your competition. Demonstrate that you know the importance of growing a brand following and how you plan to make your restaurant a well-known brand for your target market. After you have decided how you’ll brand your restaurant, your business plan must include details about how you’ll market your restaurant. Your business plan will need details about how you’ll market your restaurant using different channels like social media influencers, public relations, and Yelp. You need to provide details about how you’ll market your restaurant from day one. Provide examples of grand opening ideas to attract customers when your doors open. Write about any promotions that you’ll offer, for example, free lunch delivery. You can include details about the promotions at special times of the year, for instance, Valentine’s Day. Due to the many requirements of opening a restaurant, your business plan needs to demonstrate that you’re aware of the types of expertise you’ll need. Provide information about the specialists you’ll use to ensure your restaurant runs smoothly. Ask yourself whether you need a labor lawyer. You can also write about how you plan to use an attorney to assess your business plan. You may need an accountant to help you with your finances. Other specialists you may choose to use include marketing consultants and designers. It’s advisable to prepare this part of your restaurant business plan with an accountant. Ideally, the accountant you choose will be experienced in preparing the finances specifically for restaurants. This will ensure that the accountant is familiar with different aspects of restaurant financials. Your accountant will be able to provide practical financial forecasts when you give them information such as the number of seats your restaurant will have and the average amount of your checks. Your financials also have to take into account the cost of the tools that you’ll be using, for instance, credit card readers. You should finish writing your restaurant business plan by including details about how you want your business to grow and how quickly. You could also include information about different exit options if your business does as well as projected. Writing a business plan for a restaurant or coffee shop takes research and effort. However, spending time on this process will help you to enter into the restaurant industry with realistic expectations. Adequately staffing your restaurant could make the difference between success and failure. After your business plan has been approved and you’ve secured funding for your new restaurant, why not try Deputy for free to see how we can help you to have one less thing to worry about? Deputy’s leading workforce management software is used across the globe to schedule, track time, and communicate with employees wherever they are. Sign up below for a free trial, and see how Deputy can improve your restaurant operations. The post How to Create a Restaurant Business Plan appeared first on Deputy. Your branding is the most prominent aspect that will set you apart from your competitors. This is especially the case if you’re starting a restaurant that serves similar food to other restaurants in your area. Including your brand statement in your business plan tells the reader about your key messages, vision and how you’re different from your competition. Demonstrate that you know the importance of growing a brand following and how you plan to make your restaurant a well-known brand for your target market.After you have decided how you’ll brand your restaurant, your business plan must include details about how you’ll market your restaurant. Your business plan will need details about how you’ll market your restaurant using different channels like social media influencers, public relations, and Yelp. You need to provide details about how you’ll market your restaurant from day one. Provide examples of grand opening ideas to attract customers when your doors open. Write about any promotions that you’ll offer, for example, free lunch delivery. You can include details about the promotions at special times of the year, for instance, Valentine’s Day.